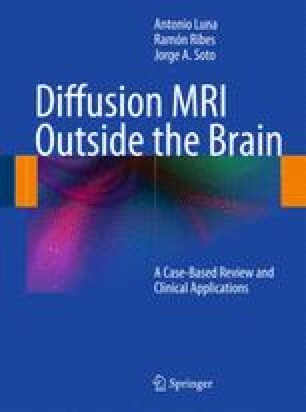 The basic concepts of DWI are introduced in this chapter, as well as, the imaging fundamentals to acquire optimal DWI sequences outside the brain. A schematically representation of the basic diffusion sequences is presented with an intuitive explanation of spin evolution during this sequence to finally form the acquired diffusion signal. The diffusion weight factor (b value) is explained in relation to image acquisition parameters. An overview of the basic parameters that affect the image contrast is also reviewed, along with the concept of parallel imaging reconstruction strategies that are to reduce geometrical artifacts derived from EPI acquisition. Finally, the effect in DWI of non-suppressed fat signal is presented to explain the necessity of fat suppression techniques, which are also reviewed in detail. Finally, after explaining the design of a DWI sequence, two very specific DWI approximations using a DWIBS sequence, as whole-body DWI and neurography, are explained.